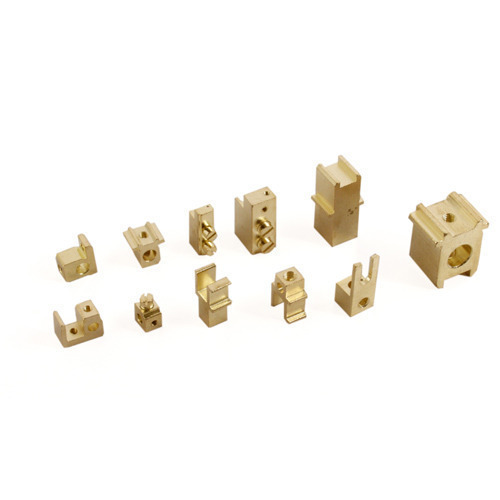 Founded in the year 1976, we “Chandrika Industries” are an ISO 9001:2008 certified company engaged in manufacturing and exporting a broad range of Brass Machined Parts, Brass Turned Component, Brass Electrical Fittings, Brass Compression Fittings, Brass Cable Glands, Brass Auto Parts, Brass Inserts, etc. We provide these products in diverse specifications to attain the complete satisfaction of the clients. In addition to this, we also export these products to Germany, South Africa, France, Spain, Italy, Singapore, Malaysia, Sweden, UK, Middle East, etc. We are a Sole Proprietorship company which is located in Jamnagar (Gujarat, India) and constructed a wide and well functional infrastructural unit where we manufacture these products as per the global set standards. Under the supervision of "Mr. Rajesh B. Valwani" (Manager), we have gained huge clientele across the nation.